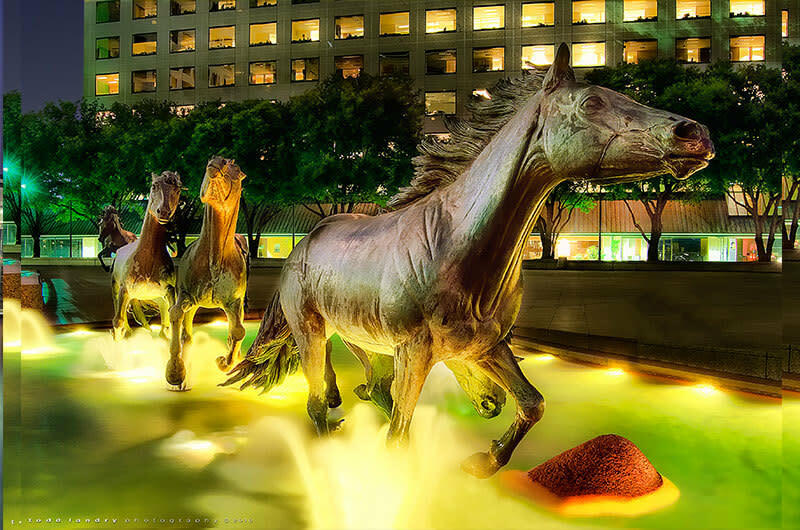 The Mustangs of Las Colinas, a breathtakingly realistic sculpture of nine bronze mustangs galloping across a granite stream, is an attraction you shouldn't miss. Tourists from around the world come to view the impressive, larger-than-life depiction that serves as the centerpiece of Williams Square, a stark, pink granite plaza in the Las Colinas Urban Center. 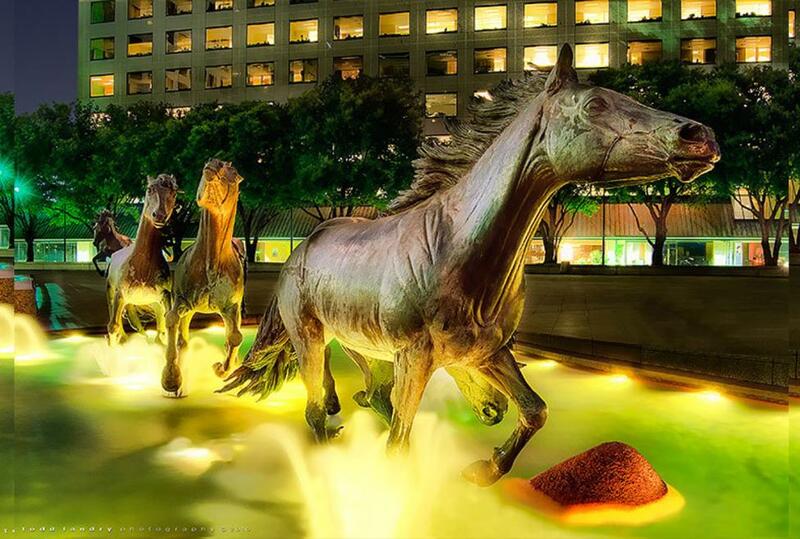 Adjacent to the sculpture, in the East Tower of Williams Square Plaza, is the Mustangs of Las Colinas Museum. In the museum, visitors learn the story of the eight years of work African wildlife artist Robert Glen invested in creating the Mustangs. The museum also presents a short film which brings to life for the visitor the time and effort that went into designing, molding, and mounting this distinctive piece of public art. Other works of art by Robert Glen are also on display in the museum.